A Waterproof Mp3 Player Headphones System, with Consistent Quality Sound for Swimming. Our VRX sport headphones and silicone skin combination, is a tested design that delivers noise isolated music of quality, above and below the water, whilst swimming. Arrives with dozens of swimming workouts preloaded. Includes our new “HIIT Swimming Workouts”. All timings and workout messages play over your own music… or just listen to music! Now with our new Tempo Trainer. A swimming metronome to hear a “Beep” or “Stroke” voice, either all the time, or to intermittently interrupt your music. You choose the stroke rate, or even set a Lap Pacemaker! Click here to watch how to use the silicone skin with the VRX headphones. Click here to see all features of the VRX headphones. YOUR SWIMMING EXPERIENCE IS ABOUT TO CHANGE! AND your noise isolated music! What is the current technology for waterproof mp3 players? Waterproof mp3 players are now commonplace. Manufacturers have mainly taken an mp3 player, made it fully waterproof and said “Hey, you can swim with this now!” It’s not quite that simple. In ear: Massively dependent on the fit. If not perfect, water enters your ear and the sound is muffled. Results in a constant fiddling with the ear pieces. Bone conduction: Poor music quality when the swimmer’s head is out of the water. Often low volume. Generally “average” music quality. Waterproof mp3 players and waterproof headphones need waterproof speakers. These have to be resilient to water damage and the music quality is significantly compromised. Product reliability and resilience: Waterproof mp3 players are usually waterproofed based on an IPX7 [1m depth for 30 mins] or IPX8 [usually stipulated, but often 2m depth for 1 hour] rating. The problem is that this does not take into account strong movements through water whilst swimming. The result is that after a relatively short time, you have a faulty unit and have to buy another. This doubles your cost and you still have a product with a short life span. Note: Waterproof headphones with bluetooth will not work for swimming. Bluetooth does not work at all in the water and actually does not even like the water in your own body! The best way to have wireless waterproof headphones for swimming, is to have the mp3 player built in. So why is FX-Sport System better? We have found that by far, the best system for audio whilst swimming, is to use an external speaker rather than in ear. Using the headphones and earplugs [see below], great quality sound is delivered consistently, regardless of whether the user’s head is under or over the water. The FX-Sport headphones are sweatproof and rainproof, but not designed to be fully submerged [without their accessory]. This means air can get to the speaker and we have great BASS. The flexible silicone case gives excellent water protection, to a device which is already water resistant. This makes for a much better “financial investment”. The remaining air in the case is used by the speaker, so we experience the bass. Soft sponge earplugs are provided, to wear underneath, which help block water, but allow sound through. That material can also slightly enhance the bass. The end of each arm of the case is slightly thinner [but still resilient] to allow sound through optimally. 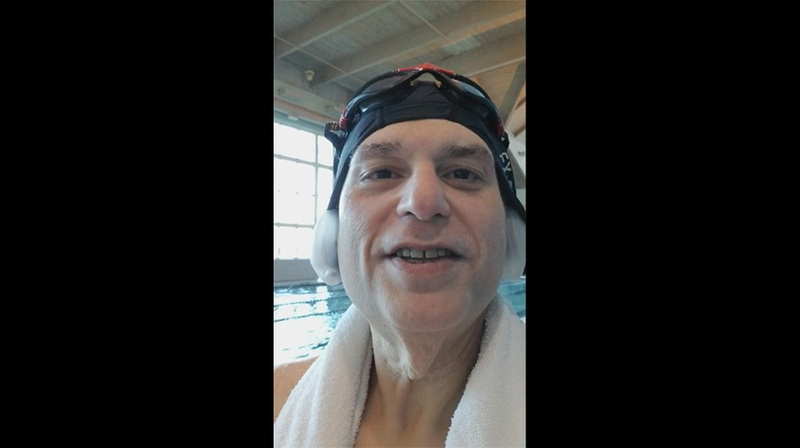 The silicone swim cap [provided], keeps everything completely secure. It is custom made and a little larger to accommodate the silicone case. Recently we have found that stretch nylon/spandex caps work possibly even better. Those will also be available. You will have access to completely unique functionality for swimming. Dozens of swimming training sessions are now preloaded, including our time based “HIIT Swimming” workouts. Remember all messages play at designated times over your own music. Head out of the water swimmer? No need for the accessory! Introducing the new FX-Sport Tempo Trainer and Lap Pacemaker. Two great new features and training aids on the VRX headphones. Note: This is in addition to the already preloaded swimming workouts and the hundreds of land based workouts! 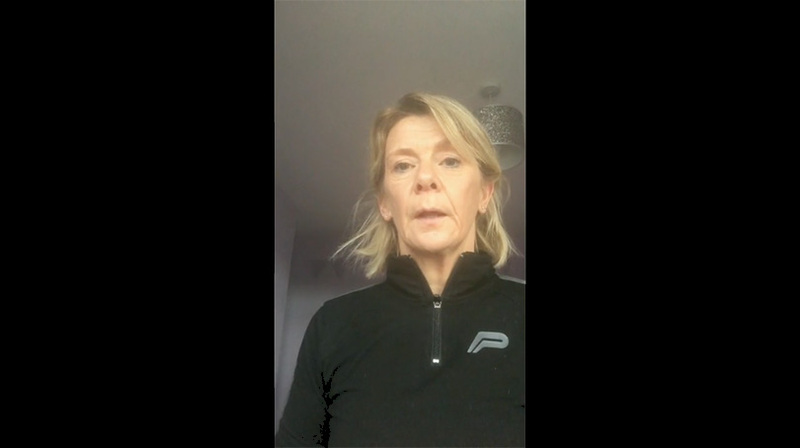 What is a tempo trainer for swimming? A tempo trainer is similar to a waterproof swimming metronome and is designed to “beep” an exact stroke tempo. A useful figure to know is your desired “stroke rate per minute”. The swimmer would then simply time each stroke to the “beep”. 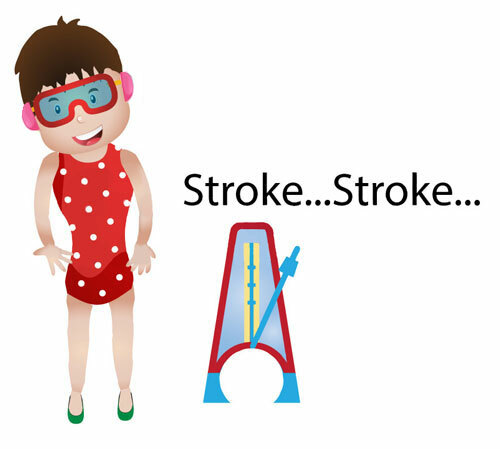 How do I know what my stroke rate is? Divide the total time [in seconds] by the number of strokes. This gives the number of strokes per second. Divide 60 by your number of strokes per second to give your stroke rate per minute. Total time to swim 100m = 1 min 44 seconds [104 seconds]. So your stroke rate per minute is 56. Why is a tempo trainer beneficial? A simple advantage of using such a device is that it will act as a pacemaker to help you maintain your speed over the duration of your swim. It is very common in sports like running to have another athlete act as pacemaker for part of the race. Many people can quickly beat their personal bests once they start to use a tempo trainer! Another benefit is that by maintaining a consistent pace and rhythm, a swimmer can remove “dead spots” or pauses within your stroke technique. Dead spots can be brought on by too much “Overgliding”. This means that a swimmer’s stroke may have too much glide and it results in a distinct unproductive pause in the technique of your swimming. To hear a voice continuously saying “stroke, stroke…” for your choice of stroke rate per minute ranging from 50 strokes per minute to 90 strokes per minute. [No music]. 15 seconds of “stroke” voice followed by either 1 minute or 2 minutes worth of your music [your choice of stroke rate per minute for the voice]. 30 seconds of “stroke” voice followed by 2 minutes worth of your music [again your choice of stroke rate for the voice]. Option to have a voiced lap time pacemaker for each length, ranging from 17 seconds to 35 seconds per length. Time notifications are cumulative and will count the lengths. So for example “25 seconds, 1 length…50 seconds, 2 lengths…1 minute 15, 3 lengths…”etc. with your music between time notifications. Our VRX waterproof mp3 headphones are currently the only device that provides the option to use the Tempo Trainer alone, OR also with music. Usually, listening to music with a “beep” in the background would be very difficult because of the natural beat of each music track. So the best way to combine the two, is for the stroke rate beeping to interrupt your music, to just hear the beep for a chosen period of time and then return you to your music, again for a chosen period of time. This repeats throughout your swim. Don’t forget that music is a great motivator in itself! If you were ever in doubt that listening to music whilst exercising can increase endurance, take a look at the article at the link below. Music can increase performance by up to 15%! The whole system works fantastically well. If you are looking for an mp3 player for swimming, we believe this is the best – and we have tried everything out there! Whether simply for music or for the training functionality, our VRX headphones will take your swimming enjoyment and fitness, to a whole new level.